Get Ready for Christmas Shopping! Just a reminder to everyone that will be doing online shopping this year: If you don't get miles or cashback on your order, you're leaving money on the table. 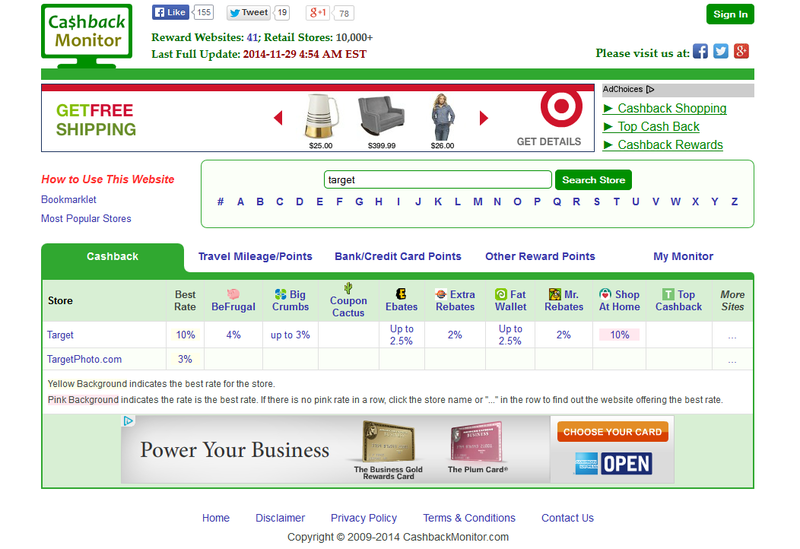 Finding the best deal is particularly easy with the rise of cashback/miles comparison websites, a favorite example being Cashbackmonitor.com. Once you search for your store, click on the link in the results field and you'll be taken to the cashback portal. From there you'll simply click through (after creating an account if you don't already have one) and shop as usual. 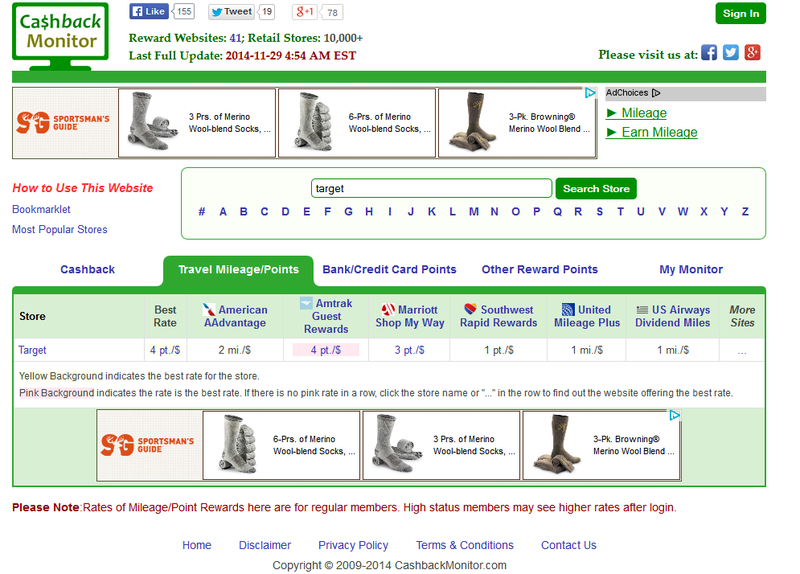 Not every store offers miles or cashback, but nearly all do. Okay, that's nothing in absolute terms. Many blogs get more than that per day. Some probably get more than that per hour. But for my humble little blog, I'm thrilled to have had 25,000 visits from fellow points and miles enthusiasts. Thanks! 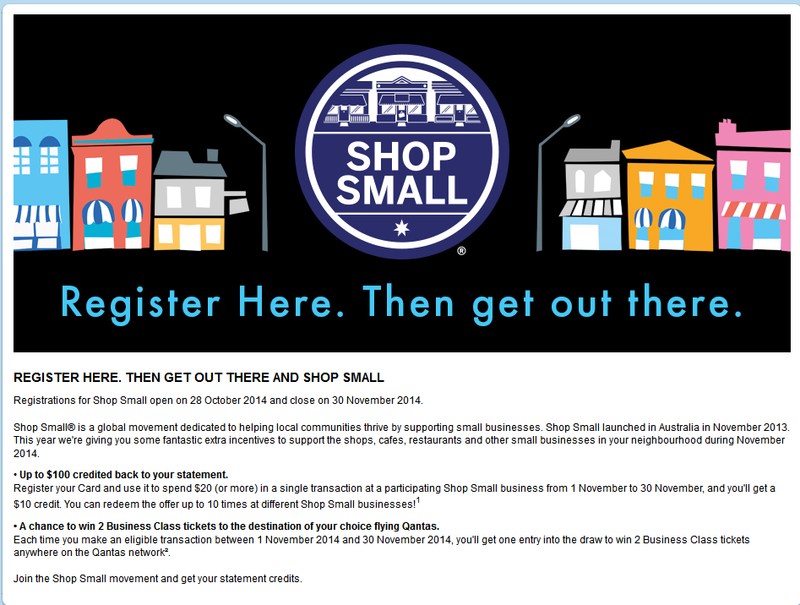 Registration for American Express' Small Business Saturday 2014 is Live! 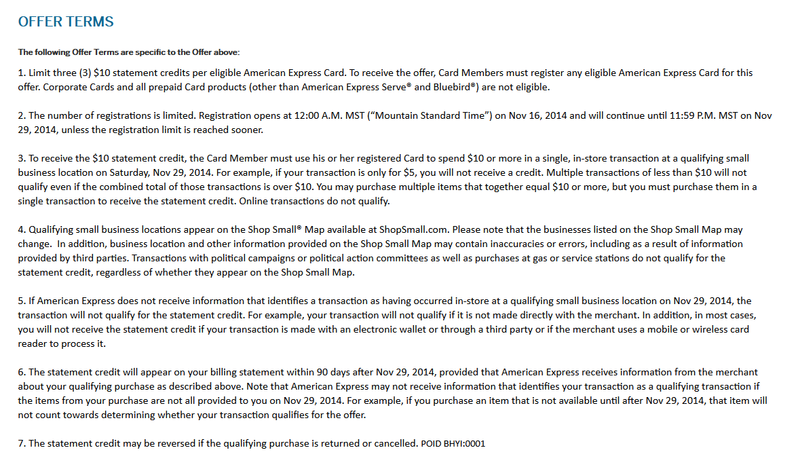 Run, don't walk, and register your American Express card (every one you have including authorized users) HERE. Then, on Saturday the 29th, use your card to make three purchases of at least $10 at a local small business and American Express will give you a $10 statement credit for each purchase. You can do that three times for each of your cards. That's $30 in free spending per Amex card! Which businesses qualify? Amex provides a useful MAP of qualifying businesses. Mrs. Points Ninja and I will be restocking our wine cellar at our local bottle shop. Thanks Amex! $10(Aus) off a $20 purchase and repeatable 10 times. Not a bad deal at all if you're an Amex cardholder in Australia!